I inherited a set of these IKEA rectangle lamps from my sister and love the shape/look of them. I brought my small one to my office so my little cubical could have some more light, but the lamp ended up being blindingly bright. 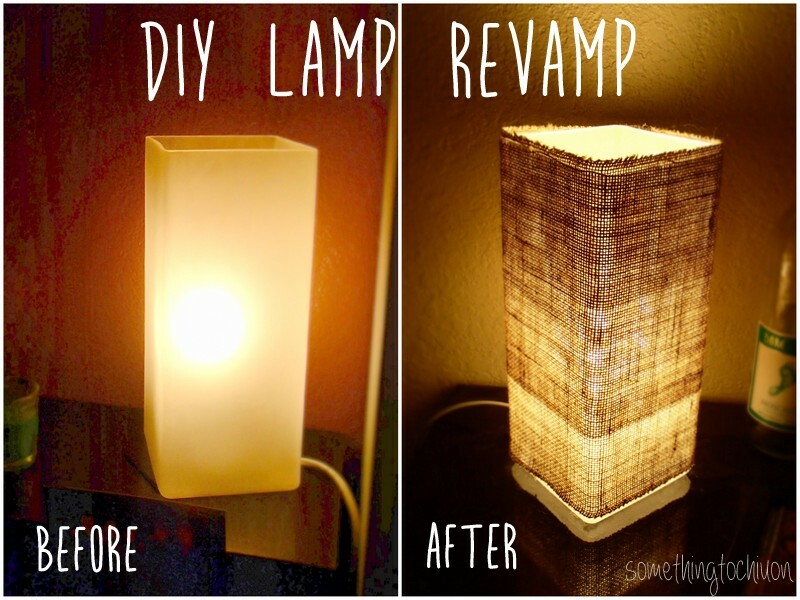 So, I went home and did a little revamping (also, Lamp Revamp just has a nice ring to it)! 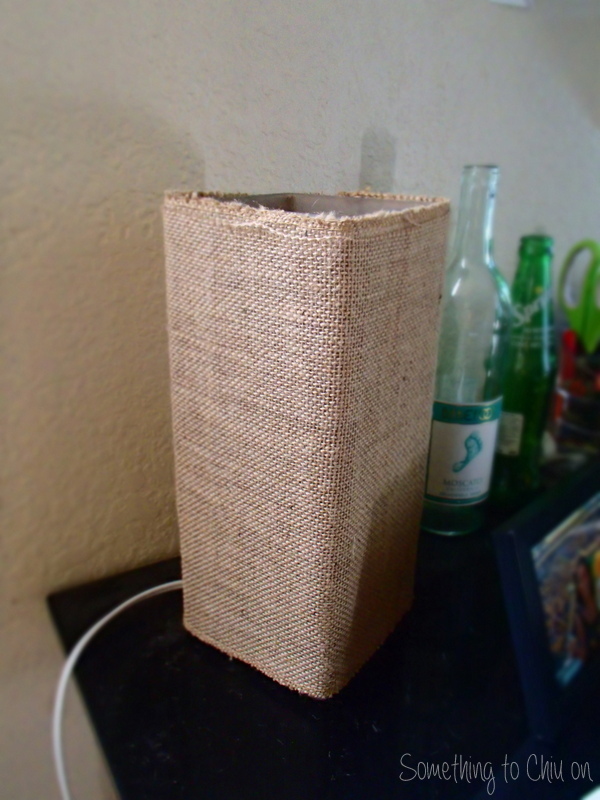 Using some burlap I found at Target in the dollar section, I created a makeshift lamp shade. 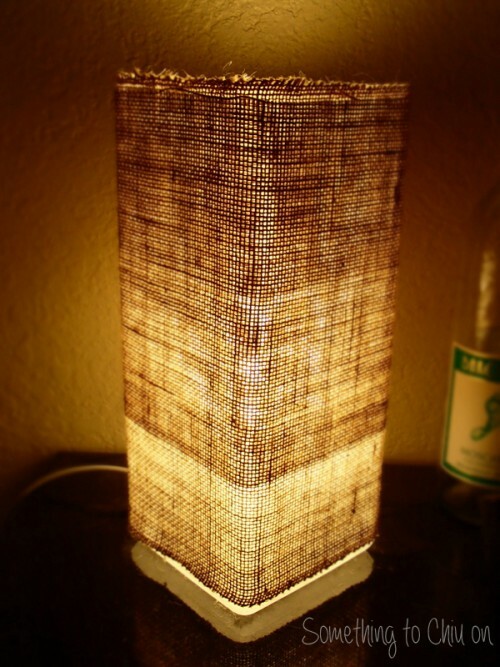 I just took my burlap, hot glued one end to the lamp and wrapped the material around the lamp, glueing the ends together. I wrapped it around twice so it would have an extra layer of “shade”. I’m so happy with the turn out and really like the Earthy look it has now. I have yet to test it in the office, but I think it will fit nicely!